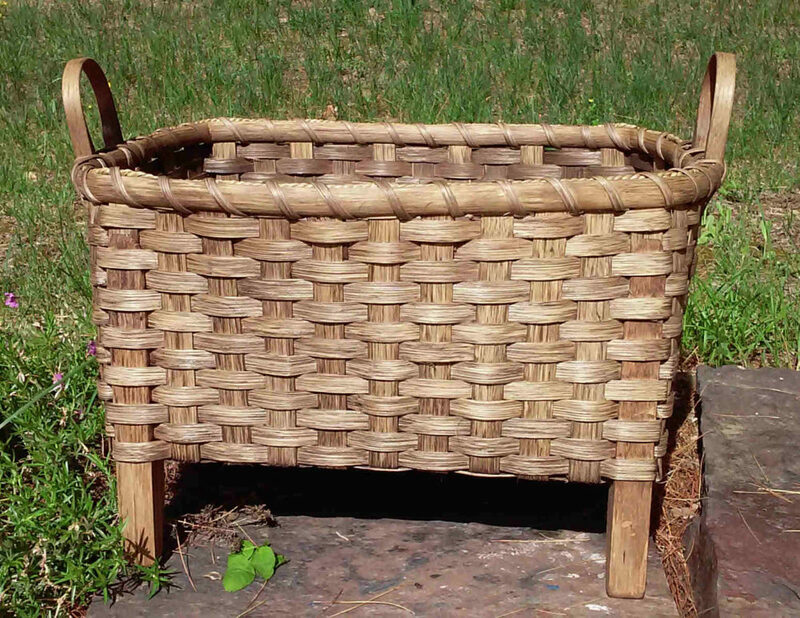 This woven based basket sits up on 4 wooden legs, measures approx. 8”W x 12”L x 7”H. The original purpose is for air circulation, but uses are endless. Bring: Mop size bucket, sturdy scissors, 12 spring type clothespins, pencil, jack knife, tape measure, old towel, spray bottle.